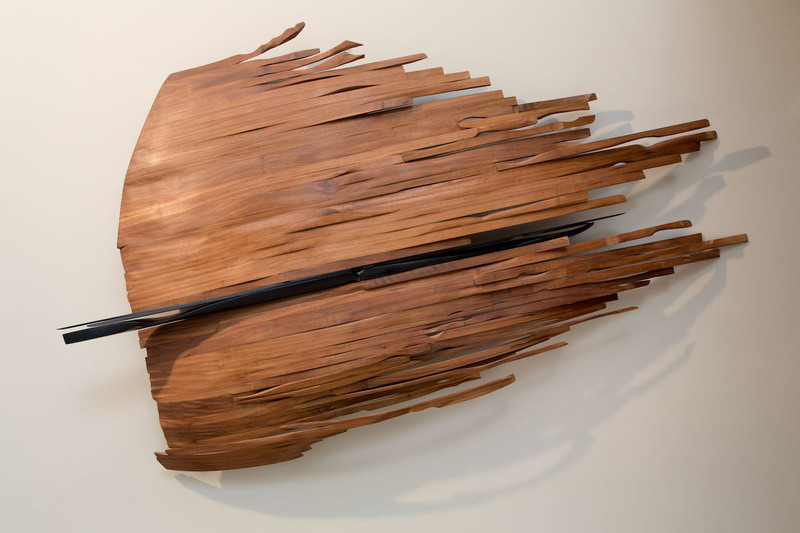 While artist Kathleen Mulcahy was canoeing on the west branch of the Susquehanna River over a decade ago, a sudden storm came out of nowhere, leaving her no way to escape from the furious pelting rain. The river was too wide, and the waters too rapid. 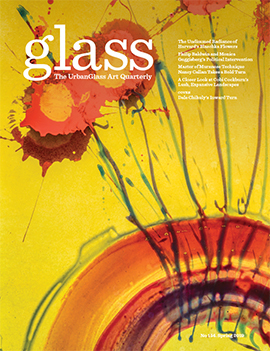 “We were moving into it, and there was nothing I could do but submit," she told the GLASS Quarterly Hot Sheet in a telephone interview. "And in that moment of submission, of letting go, I put my hand in the water. And after that moment, once I let go, we went right through the storm; and on the other side of it was clear skies and fresh air and beauty like I had never really experienced, from everything — my skin, the way things smelled, the air, everything was beautiful. I remember putting my hand in the water and saying, ‘what will my new work look like because of this?’” The answer arrived in a dream a few months later. "[Upon waking], I quickly grabbed a pencil and sketched this little tiny sketch of the image that I saw.” Mulcahy's first drop piece came soon after, titled West Branch of the Susquehanna (2006), which will be featured in her upcoming exhibition “Opposites Attract: Kathleen Mulcahy and Sylvester Damianos,” at The Westmoreland Museum of American Art opening on November 5, 2016, and running through February 2017. Mulcahy once explored a wide range of sculptural forms with glass — from colorful spinning tops and perianth-like light fixtures to glossy black orbs. 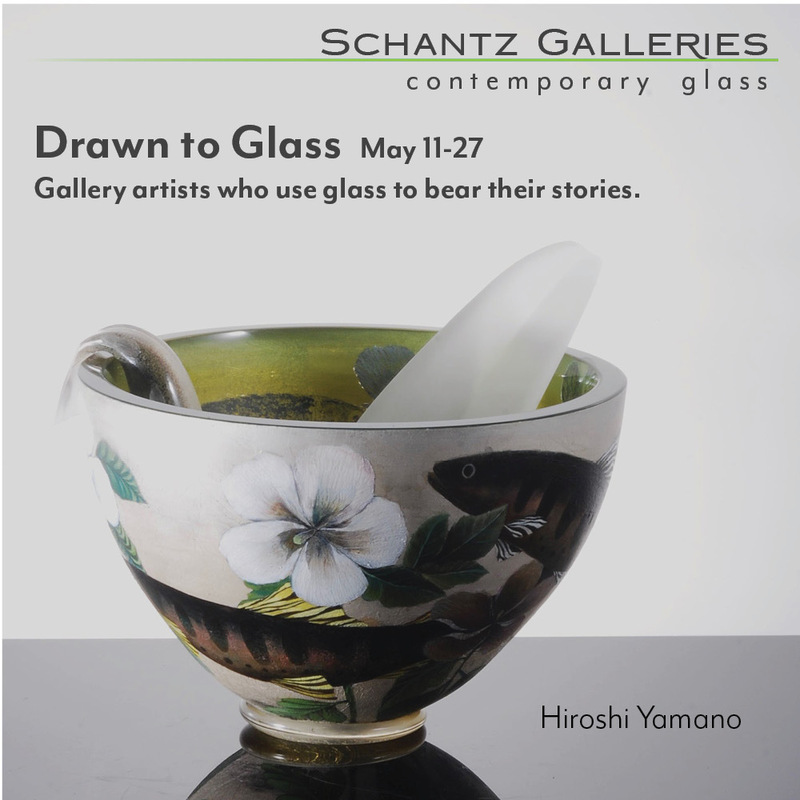 But the transformative boating experience led her to hone in on her series of glass drops or spheres over richly textured sheets of glass, that she has been developing since 2004. 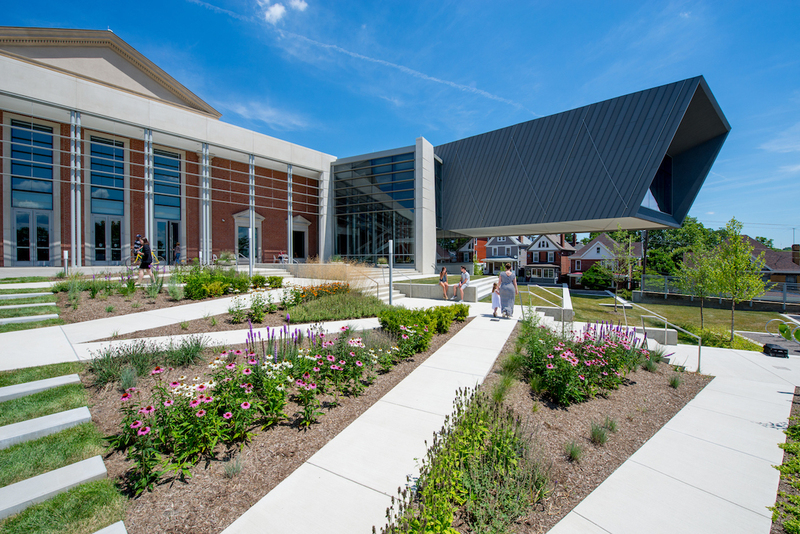 The Westmoreland Museum, located in Greater Pittsburgh’s small city of Greensburg, Pennsylvania, is fresh off a $20 million renovation. 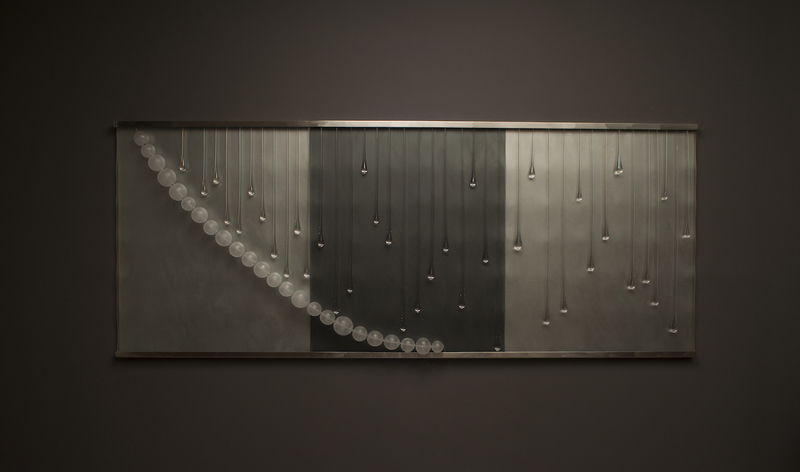 This exhibition will feature works from across Mulcahy’s career, supplemented by several new works made specifically for the show, “to juxtapose against earlier works to see the larger field of thoughts I work in,” she told the Hot Sheet. 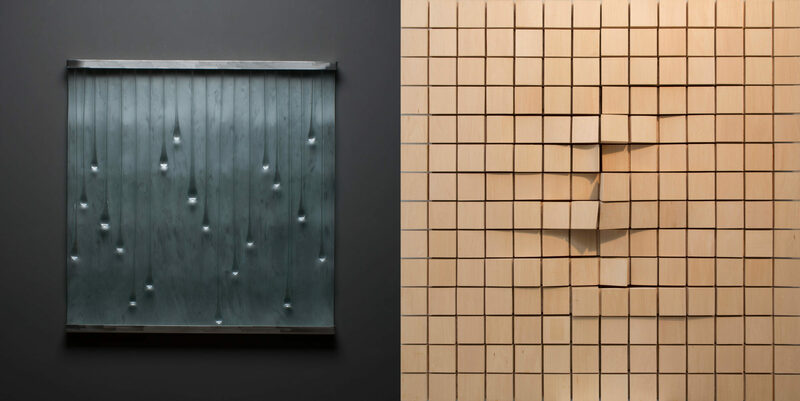 Alongside Mulcahy's exhibition, Sylvester Damianos, also a sculptural artist with a diverse body of work (mostly in wood), will be exhibiting his multi-media work, presented as a contrasting approach. Quiet beauty is a defining feature of Mulcahy’s recent works. 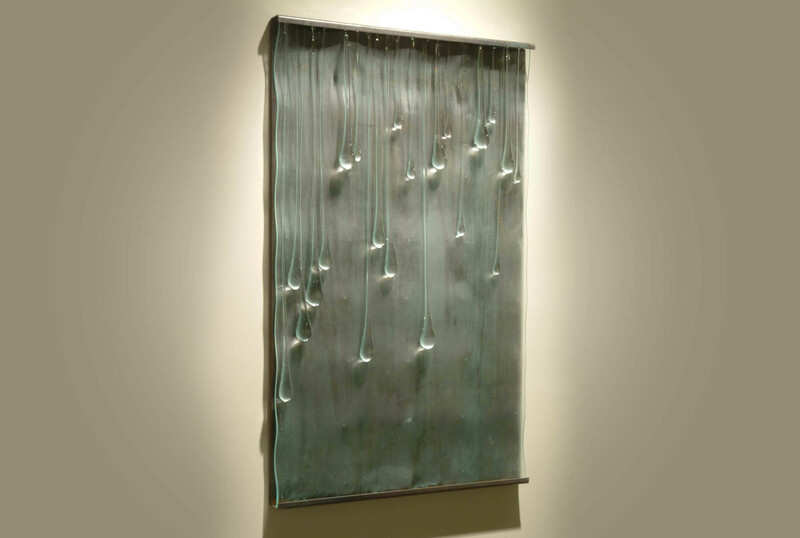 They are chromatically subtle, requiring a patient, discerning viewer to appreciate the sense of depth in their backdrops, the motion in the line of their drops, and the prismatic light glimmering between the two. When speaking to Mulcahy, one immediately understands how this sensibility arises from her personal temperament; like her art, she is patient and thoughtful, exhibiting a mindfulness and attention to detail at each moment. Mulcahy relates her spheres to another personal experience: “to me, [the spheres] are almost like pearls," she said via telephone. "We have a pond out back, a homey little pond, it’s one that we dug ourselves, and I went out one day and saw these beautiful clear pearl-like chains all over the water lilies. I realize those were frog eggs but they were so beautiful, just kind of lacing. But also, when you’re at a beach and the water just starts to recede, it leaves a line of bubbles. So that first piece I titled Strand — both meaning strand of pearls or a strand of beach.” These perceptive observations are indicative of her sensitivity to the natural world.